Though the ceremonial sine die for the 92nd General Assembly isn’t until April 24, both houses recessed this Wednesday. There are a handful of bills still waiting on the Governor’s signature, but things are much quieter now at the Capitol. This will be the last of our weekly updates, unless something wild happens between now and the 24th. 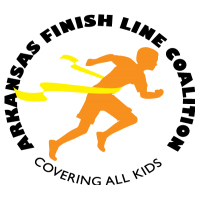 Over the next few weeks we will be creating an in-depth review of how the session will impact kids and families. And we hope you’ll join us at our Kids at the Capitol events to discuss and celebrate the good policies that were passed and talk about what work still needs to be done. 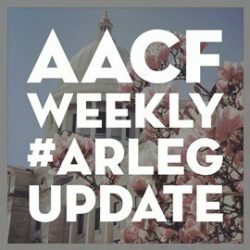 In our final video update of the 2019 regular legislative session, several AACF staff share their highlights from the session. Featuring Executive Director Rich Huddleston, Health Policy Director Loretta Alexander, Northwest Arkansas Director Laura Kellams and Senior Policy Analyst Bruno Showers. IMMIGRATION: Senate Bill 411, sponsored by Sen. G. Stubblefield, passed out of the House on Wednesday, and it has been delivered to the Governor for his signature. It will prohibit municipalities from adopting or enacting a sanctuary policy. It would penalize any municipalities with a sanctuary policy by withholding discretionary funds or grants from the state while the policy is in place. RESTRICTIONS ON FOOD ASSISTANCE: House Bill 1731 passed out of the Senate on Tuesday and has been delivered to the Governor to be signed into law. It will will deny parents from receiving Supplemental Nutrition Assistance Program (SNAP) benefits during any month in which they are delinquent on child support. It would cut benefits for the entire household, even in if there are children in the home. House Bill 1775 cleared both houses and goes to the Governor’s office for signature. It will expand work requirements for low-income Arkansans who receive SNAP, including those with dependent children older than 6. JUVENILE JUSTICE: House Bill 1755 passed the Senate on Monday and will be signed into law by the Governor. It will limit the use of solitary confinement on juveniles under age 18. Senate Bill 506 passed off the House floor and has been delivered to the Governor for his signature. It will extend the operations of the Youth Justice Reform Board until June 30, 2021. INTERNET SALES TAX: Senate Bill 576 is now Act 822. The new law requires the collection of sales and use tax by certain online sellers, as well as reduces the corporate income tax rates. IMMIGRATION: House Bill 1684 was signed by Gov. Hutchinson on Wednesday and is now Act 844. 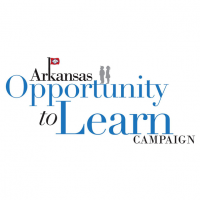 The new law requires that most students who graduate from Arkansas high schools be eligible to pay in-state tuition prices at state colleges and universities. If they are not citizens, they must have lawful status or be permitted to live in the U.S. under the Deferred Action for Childhood Arrivals (DACA) policy. Gov. Hutchinson also signed House Bill 1552, now Act 837, on Wednesday. 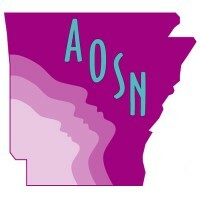 The law allows the Arkansas State Board of Nursing to issue licenses to people who have completed their vocational or professional course work and who have work permits under the DACA policy. MEDICAID: Senate Bill 99 is now Act 719, allocating funding for the Department of Human Services – Division of Medical Services (which funds Medicaid) for the 2019-2020 fiscal year. 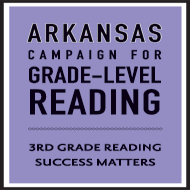 While the act doesn’t include the work reporting requirement recently struck down at the federal level, it does continue to prohibit the use of allocated state (or even federal) funds to promote or encourage enrollment in the Arkansas Health Insurance Marketplace or Arkansas Works. EDUCATION: Senate Bill 668 failed to get off the Senate floor on Monday and will be moved to interim study. The bill would have allowed the State Board of Education to extend its control over a public school district classified as being in need of Level 5 Intensive Support. Although the session has come to a close, we work year round on issues affecting the welfare of children and low-income Arkansas families. Keep an eye on our blog for the latest news and updates, and follow us on Facebook and Twitter for additional thoughts and analysis.